If you want to learn more about us, you're in the right place. Follow us on Facebook, Twitter, or Instagram to learn even more. Check out our Facebook page for instant updates on events, news, and more. Follow us on Twitter for quick news, event, and local arts information. Pictures more your style? Check us out on Instagram for beautiful imagery and current events. 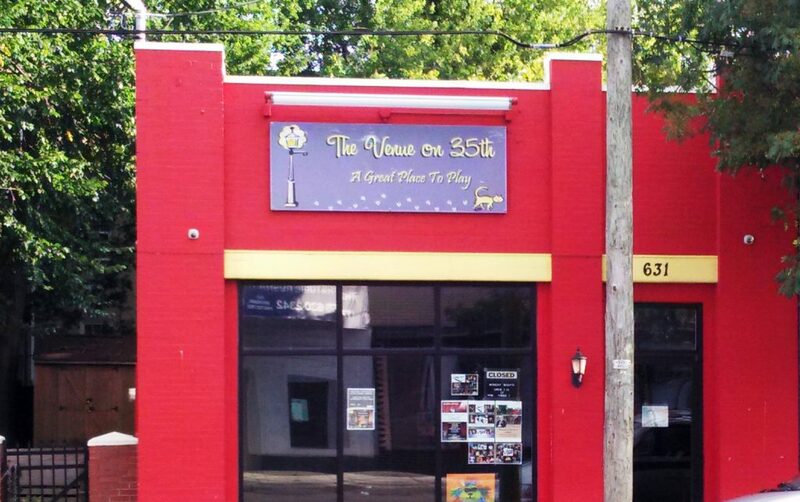 The Venue on 35th, a safe and welcoming space for a variety of artists, opened in March of 2007 and continues to grow and thrive today! Offering space, showcases and workshops for writers, singers, musicians, actors, dancers and anyone else interested in exploring their artistic talents, the Venue welcomes All Who Come in Peace!